Some look back as we ring in each new year; others look forward. I’m not one for setting resolutions, but I do enjoy paging through the tattered desk calendar of the prior year reminiscing about the months gone by and imagining those to come. So what did 2018 look like? On the personal side, there was a weekend of skiing and snowshoeing with friends on Mt. Baker followed by a week in the California sun with two of my four sisters – a perfect combination of winter activities. Spring was a time of weddings and summer of my younger sister's recovery from hip replacement surgery. In September I helped paint our daughter and son-in-law's new home, celebrated landmark birthdays and enjoyed our bi-annual family barbecue. October brought cycling Portland, Oregon with my husband and our traditional Thanksgiving feast. Autumn ended with our daughter's completion of her Masters in Social Work.Yay! On the professional side, my first book, The Thirty-Ninth Victim, was re-released in April, a decade after its original publication. Don't you love Loretta Matson's new cover? In June I spent a week at a friend’s guest house on San Juan Island determined to finish a third draft of my upcoming memoir. On the last day, I emailed it to each of the women whose stories overlapped with mine during my years in Mexico City as an undocumented worker in the 1980s. The Ex-Mexican Wives Club will be released late 2019. 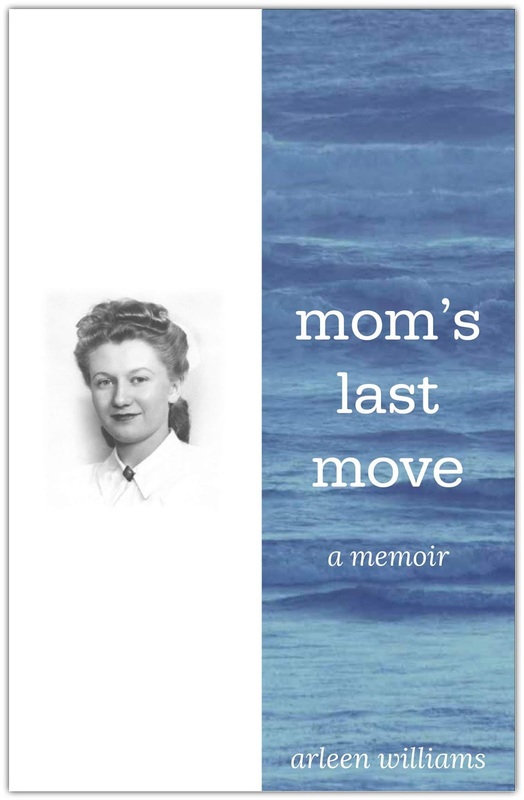 My second memoir, Mom’s Last Move, a sandwich-generation story, was released in November. The first reading was absolutely wonderful! And so the year comes to a close. As I page through my new 2019 desk calendar, I already see another reading, a book club event, and a library workshop. My writing will focus on the final rewrite of The Ex-Mexican Wives Club while I finish my thirty-second year at South Seattle College working with immigrants and refugees. And, of course, I’ll squeeze in as much hiking and biking as possible. What are your 2018 highlights and plans for 2019? Thursday, December 13, 2018 6:00 to 7:30 p.m. Struggling to mother a high-spirited daughter, Arleen Williams learns to be a mother while mothering her own mother who is sinking into dementia. At the same time, Williams learns to be a writer while coping with the family fallout over the pending publication of her first memoir, The Thirty-Ninth Victim. Mom's Last Move takes the reader to that special place between mothers and daughters, between family expectations and creative expression, between defeat and survival. Mom’s Last Move: A Memoir is a relatable journey of life, loss, and love through a large, 1950 era family, from the past to the present. Arleen Williams has a rare gift of being vulnerable, and writing her own raw truths, observations, memories, and emotions that can’t help but resonate with anyone who has lost a parent this way. The ability to interweave the telling of her mother’s descent into dementia, with her own mothering of her daughter is a powerful insight into just how fleeting our time is, and our chance to get it right. Do you know any local writers in your area? Do you enjoy reading and gifting books written by local authors? Are you in Seattle? Words, Writers & West Seattle is a monthly reading series that introduces the community to the many local writers who live in this lovely part of town. I’m fortunate to be one of those writers! Please join me on Thursday, December 13 at the beautiful new Southwest Library. 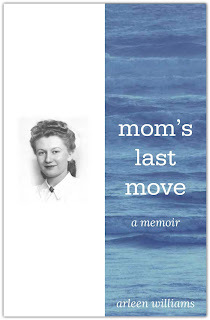 I’ll be sharing my latest memoir, Mom’s Last Move. I hope you can come to this first public reading of this story of motherhood, memory loss, and becoming a writer. Some stories seem to tell themselves. Others take years to complete. MOM’S LAST MOVE is a memoir that began as scribbles in a journal, scribbles scrawled in an attempt to make sense of life’s pain and chaos, scribbles that continued for the eleven years and twenty days between my father’s death on February 2, 2002 and that of my mother on February 22, 2013. They were silent scribbles that simmered and sat in wait for that moment when I was able to see the story in the scribbles. Looking back, I’m unsure when the long process of creating memoir from scribbles began. Then there was more waiting as challenges were overcome, decisions were made, and publication was put in place. Fourteen years have passed since I began those first scribbles during the long nights and early mornings following Dad’s death. MOM’S LAST MOVE is a story in three strands, like the three leaves of the Irish shamrock or the Triple Morrigan: crone-mother-maiden. Mom is the focus of the primary strand. 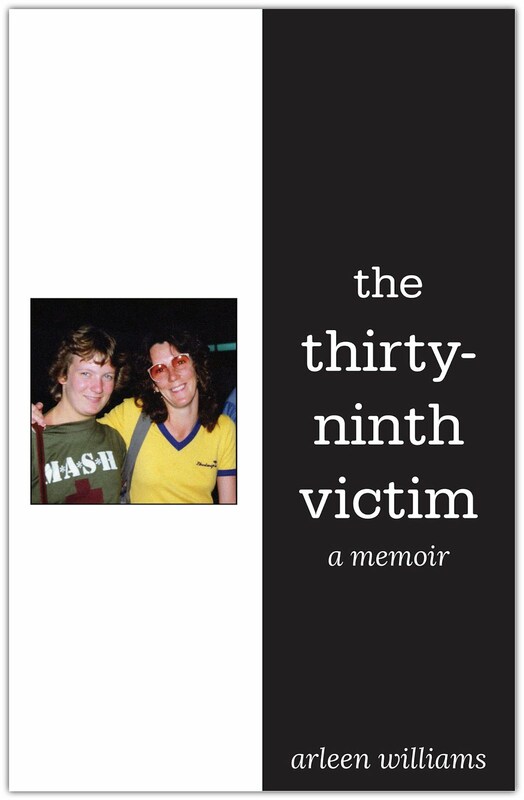 After publication of my first memoir, THE THIRTY-NINTH VICTIM, readers asked about my mother. Those gentle, concerned questions about a woman who had lost her partner of fifty-four years while also reliving the horror of her youngest child’s murder compelled me to share this story of motherhood. My mother was a woman I neither understood nor admired in the manner she deserved until she could no longer understand the depth of my love or the regret that held it. The second strand of the story tells of my daughter’s journey through the tumultuous teens and my struggles to understand normalcy. I was overcome by unrealistic and unfounded fears for my daughter based on the unrelated and dissimilar reality of my youngest sister’s murder at nineteen, a murder solved twenty years later when my daughter was fourteen. I explore my journey as a writer in the third strand. I didn’t begin writing until age forty-eight in direct response to the Gary Ridgway arrest and my father’s death two months later. I was a wreck. Writing was my salvation. THE THIRTY-NINTH VICTIM became my voice, a voice some in my family were not ready to hear. MOM’S LAST MOVE tells the story of conflict and love, of the strength of sibling bonds to overcome absolute disagreement. MOM’S LAST MOVE is now available on Amazon. Your interest and readership mean the world. I hope my story resonates in unexpected ways. I hope you share it with friends and family. 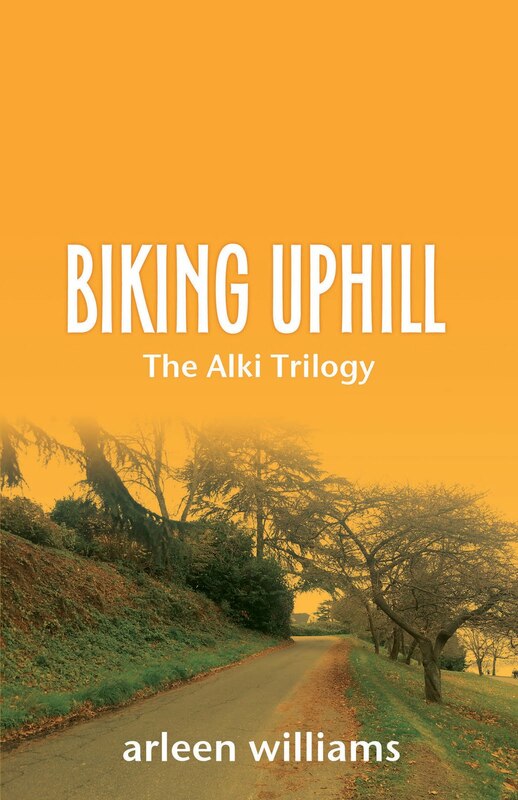 And, if you’re inclined, I hope you’ll consider a short scribble on Amazon to share your reading experience. Every autumn brings a flurry of activity, so it's wonderful to get away whenever possible. A change of scenery, even for just a few days, is great for the soul. This year my husband and I made a weekend escape to Portland, OR. We stayed in a historic downtown hotel that surprised us with champagne and chocolates after asking if we were celebrating anything special. I’m not one to keep my birthdays a secret! Having taken our bikes, we spent two days exploring the Willamette River trails and adjacent neighborhoods. Portland is a city of bridges, and we crossed many of them, pedaling from one side of the Willamette to the other. And, of course, we visited Powell’s City of Books. Such an amazing bookstore. I could take a sleeping bag and move in. I’d sleep in a different section every night, maybe a few nights in my favorites. 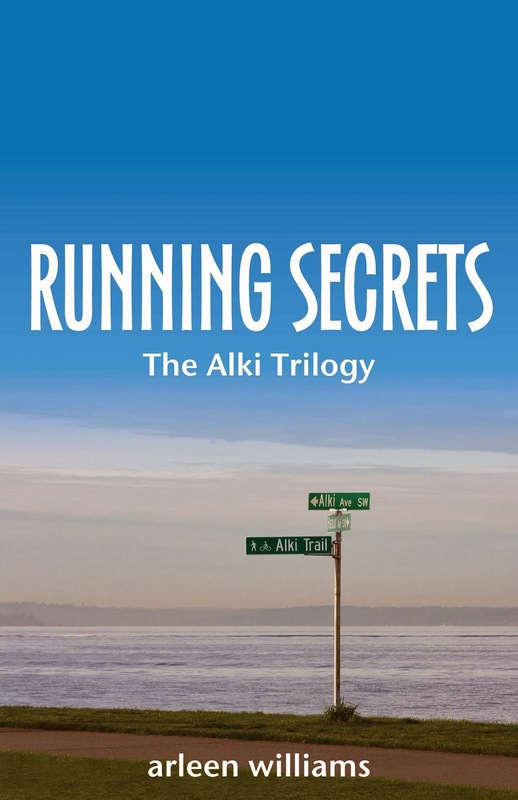 What a thrill to find Running Secrets on their shelves! What’s your favorite autumn escape?